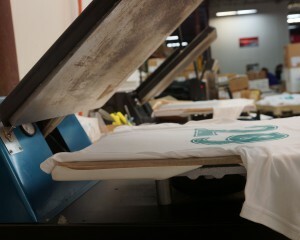 There are no minimums except for hats and screen prints, which must have an order of 12 or more. How much does it cost to embroider my organization’s logo on a shirt, hat or other apparel or promotional item? It’s included in the price. How much is it to setup a logo? Pricing for logo setup starts at $25, based on stitch count. All orders are shipped UPS FOB Minneapolis, MN. How much is it to embroider a second logo? Pricing for a second logo is $4.00 depending on what location and what kind of item it is going on. How much to embroider a name? Click here to go to our ‘Order’ page, where we walk you through the different options for placing an order. Can I call, fax or email my order? How long does it take to receive an order once it’s placed? Yes, if it is requested. Could you send me a sample before I make my purchase? For your convenience, we will send samples to assist you with sizing. All samples have a 30 day return policy. Norseman Apparel and Promotions will cover the cost of shipping the sample to you. You are responsible for return freight. Am I able to return or exchange merchandise? Worn apparel may be returned only if there is a manufacture defect. Embroidered or embellished apparel may only be returned if there is a manufacture defect.